I am currently copy-editing some stories for some Asian tabloid that shows much interest in Indian lifestyle. My blackberry happens to ring and old friend Shivani (Gupta) invites me to HHI. I was invited at HHI to meet Raima Sen who was promoting Oleev Active by modi naturals and looked exceedingly pretty in a green ensemble that resembled the colour of the new Oleev Active. I and Raima chatted about the benefits of using good oil in food, she said, “Sou, you need to eat healthy and exercise, be it gyming or yoga or swimming, and once your body is fit, you will feel happy.” I cannot agree more with Raima. 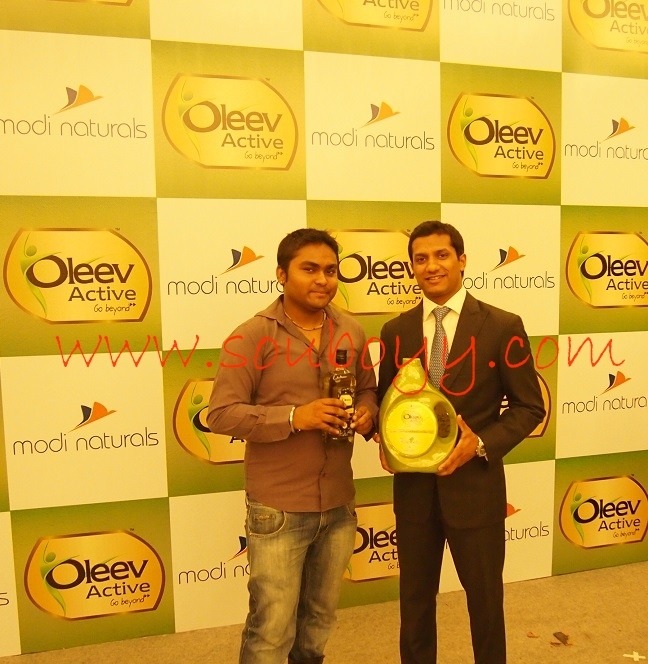 Raima Sen, Akhsay Modi, SouBoyy and Vikas at Oleev Active’s launch at HHI. 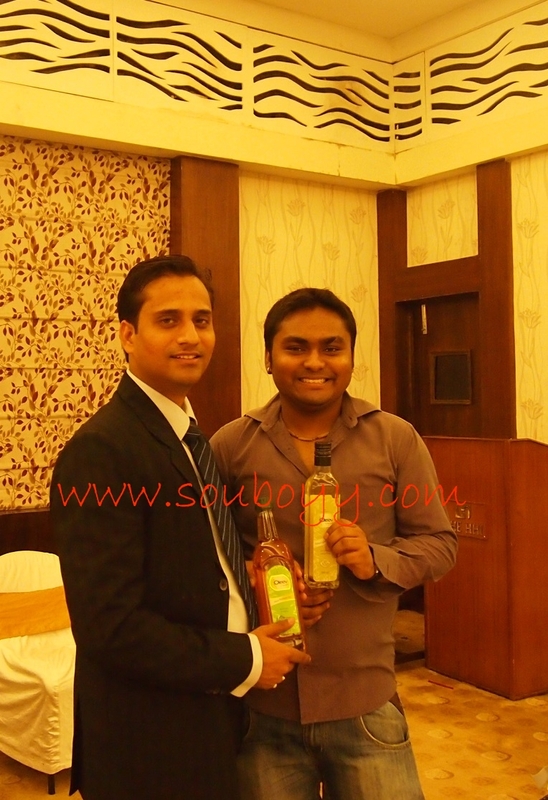 Write reviews and win souboyy goodies! 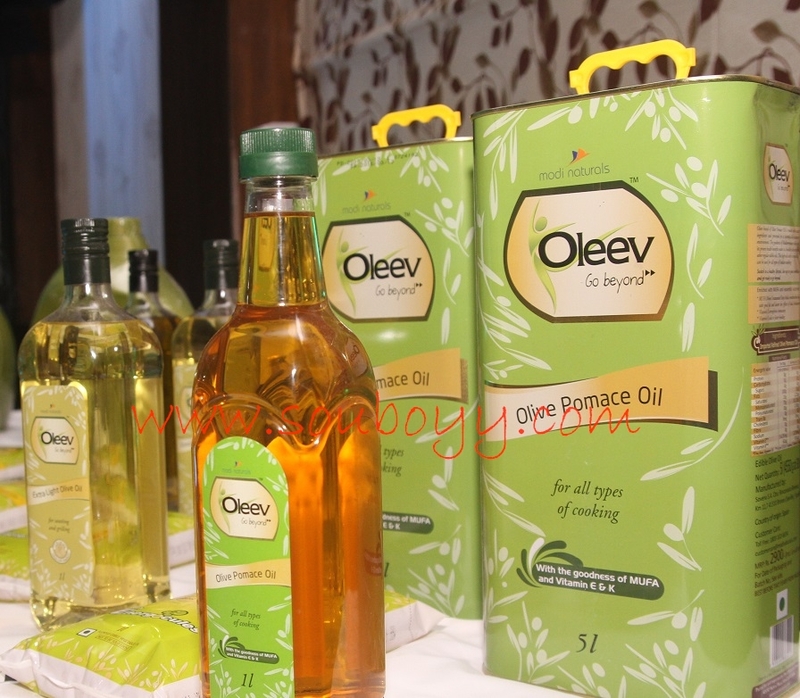 Did you try the new Oleev Active? ← Another Fashion Week in Bengaluru!